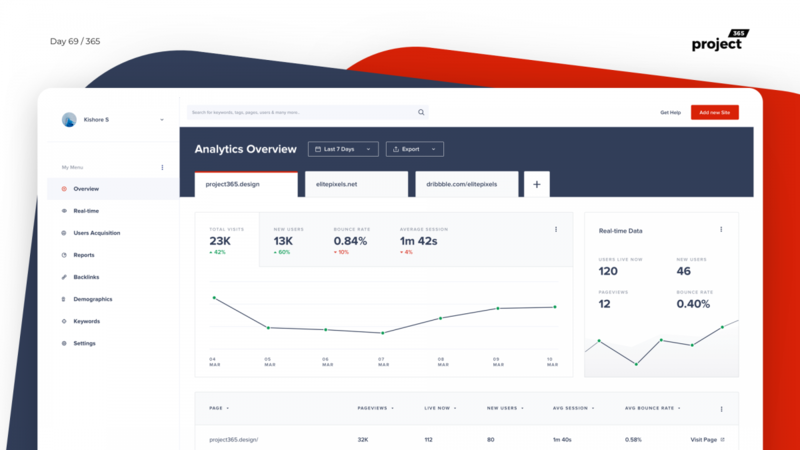 Brief: To design a very clean, minimal website analytics dashboard! 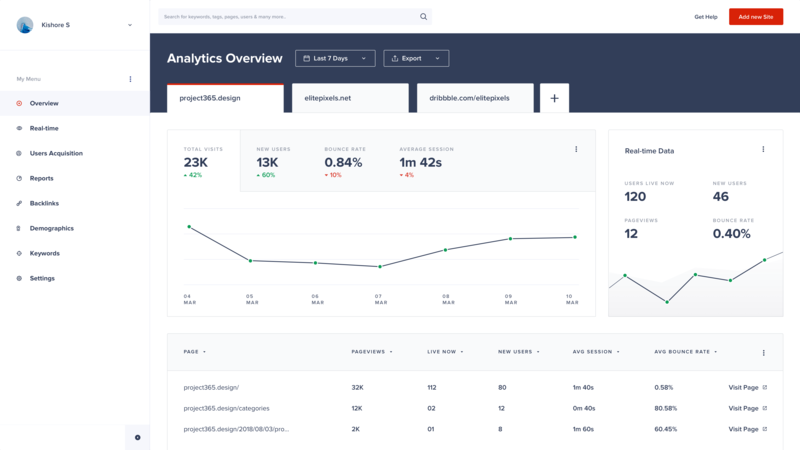 Here’s a simple dashboard for Website Analytics! Worked heavily with the icons, typography, and colors on this one. I am a huge fan of negative space and that translated a lot on this design as well.